JoomlArt - JA Megastore v1.0.6 - Responsive eCommerce Joomla Template | Free eBooks Download - EBOOKEE! 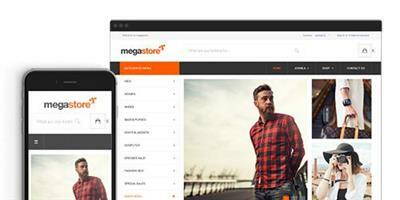 JA Megastore is an advanced eCommerce responsive Joomla templatebased on Free Joomla eCommerce component - Virtuemart. The template supports all shop pages with clean and creative design to show off products in smartest ways. The Virtical Megamenu is a great additional feature to organize products in your site better. The Virtuemart template is built with robust T3 Framework and new web technologies, it is fully responsive based on powerful Bootstrap 3 responsive grid system. JA Megastore is SEO friendly and optimized codebase to make it perform better. The intuitive theme control panel with core features built-in will help you manage the site with ease. No comments for "JoomlArt - JA Megastore v1.0.6 - Responsive eCommerce Joomla Template".